The Rolling Stones has been in the headlines a lot lately because of front man Mick Jagger’s recent health complications. On the heels of the good news of Jagger’s recovery comes some more good news, this time about a new live Rolling Stones recording. The band announced Friday, that it will release Bridges To Bremen on June 21 via Eagle Rock Entertainment. Originally recorded September 2, 1998 in Bremen, Germany during the final leg of the band’s year-long Bridges To Babylon tour (which ran from 1997-1998), the recording is set for release on DVD/2CD, Blu-ray/2CD, three-disc vinyl and digital audio. A grand total of 40,000 people attended the more than two-and-a-half-hour concert. Pre-orders for the recording are open now. A trailer for the recording is streaming now here. The 22-song set opens with the band’s timeless hit song, ‘(I Can’t Get No) Satisfaction’ before moving into ‘Let’s Spend The Night Together.’ The show also features songs, such as ‘Memory Motel,’ ‘Thief in the Night’ and ‘Jumpin’ Jack Flash.’ The show’s full set list is noted below. Bridges To Babylon was released September 29, 1997 through Virgin Records. The album was certified platinum by the Recording Industry Association of America, peaking at #3. 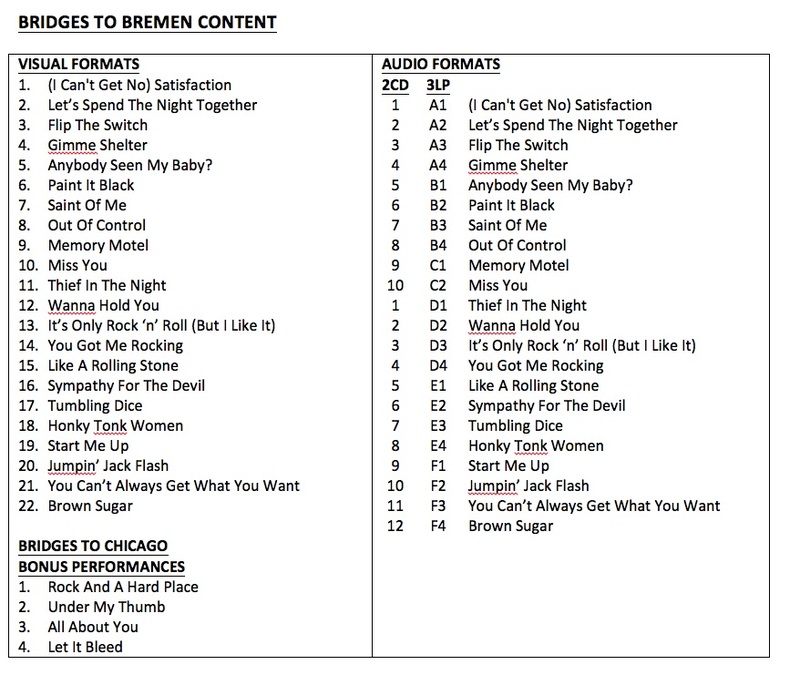 Along with the main show, Bridges to Bremen will also feature four extra performances that were recorded during the band’s performances at Chicago’s Soldier Field from the same tour. The band opened its Bridges To Babylon tour in Chicago with two shows on September 23 and 25, 1997. 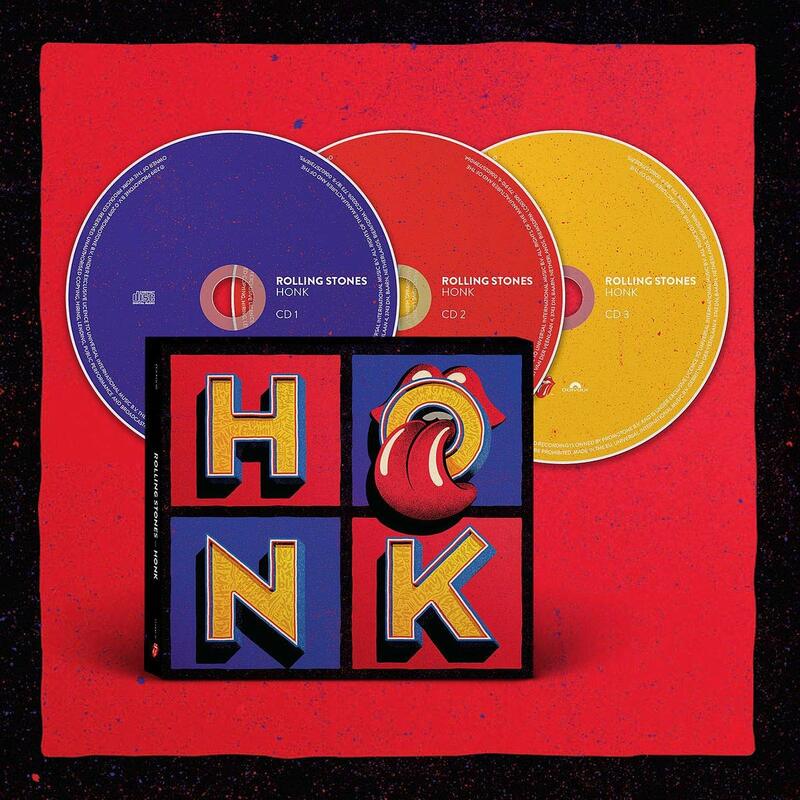 Eagle Rock Entertainment’s release of Bridges To Bremen will come a little more than two months after the release of the band’s latest compilation, Honk. The three-disc collection is set for release April 19 through Interscope Records. It reaches back to 1971 and all the way up to the band’s 2016 compilation Blue & Lonesome. The third disc, which is included only in the compilation’s deluxe edition, features 10 live tracks recorded throughout the band’s life. World-renowned rock band Journey released its brand new live recording this week. The recording, Escape & Frontiers Live in Japan, was released Friday through Eagle Rock Entertainment. While not the group’s first live recording ever – the group’s most recent live recording, Live in Houston 1981: The Escape Tour, was released in 2005 through Columbia Records – it is still a piece that audiences and the band’s more devoted fans alike will appreciate. That is due in no small part to the recording’s set list, which will be discussed shortly. The band’s performance of said set list is just as important to discuss as the set list itself, and will be addressed a little later on. The companion booklet included with the set plays its own integral part to the recording’s overall presentation. Together with the recording’s set list and the band’s performance thereof, the whole of the set becomes an early candidate for any critic’s list of the year’s top new live recordings. 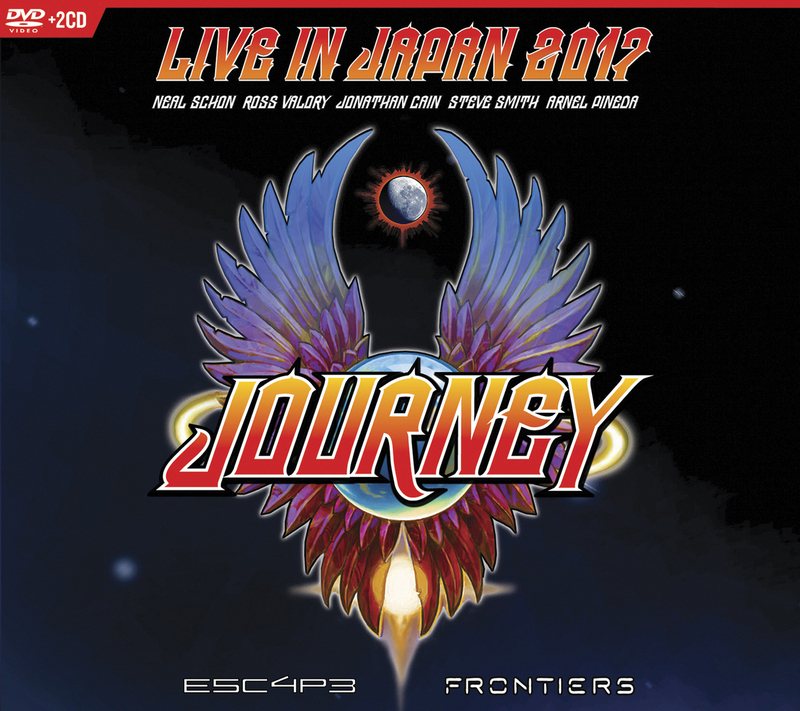 Veteran rock band Journey’s latest live recording Escape & Frontiers Live in Japan is an offering that classic rock fans and Journey’s more devout fans alike will appreciate. That is due in no small part to the recording’s set list. An expansive two-hour-plus concert, the set list covers two of the band’s most well-known and beloved albums – Escape and Frontiers. The concert, originally recorded in 2017 at the famed Budokan in Japan, covers both albums in full. What’s more, the band performs each album in its original sequence from start to end in the exact same order as their original presentations. The band wastes little time between the songs, filling time with pointless chatter. Rather, the band collectively does its talking through its music. That is not to say that the band’s members don’t talk at all between songs. There are moments in which each member of the band offers some commentary, sharing stories of songs’ creation. However, those moments are limited in their frequency. That limit makes the noted all the more special, and at the same time, the rest of the concert just as enjoyable for audiences. With all of this in mind, the set list proves to be an integral portion of this recording’s presentation. It is just one of the most important of the recording’s whole. The band’s performance of the set list is important in its own right to the recording’s presentation. The band’s performance is important to address in the bigger picture of the recording because it is so engaging and entertaining throughout the show. Lead guitarist Neal Schon shows time and again with his work, why he is such a respected musician. From his work on the soaring show opener that is ‘Don’t Stop Believin’’ to his more subtle performance in ‘Who’s Crying Now’ to the driving riffs of ‘Chain Reaction’ and more, Schon shows that he is still at the top of his game even so many decades after first picking up a guitar. Drummer Steve Smith’s timing in each song is impeccable. His fills, his control of his drum kit and stamina are just as impressive. Drummers will note his stamina and creative performance is due to obvious classical training. He uses his wrists instead of his arms to play. He also uses plenty of rudiments throughout each song, utilizing every inch of his kit. At no point does he ever show any sign of drained energy, nor does he lose any ability to keep the songs interesting in his own right. Again, here is a clear example of the band’s talents throughout the show. Keyboardist/guitarist and bassist Jonathan Cain and Ross Valory help maintain each song’s foundation in their own way, too, giving just as much positive energy as their band mates. Front man Arnel Pineda, while maybe not as tall as his band mates, proves big things can and do come in small packages. He delivers a nonstop powerhouse vocal performance, displaying time and again, an impressive control over his voice. That includes not just in terms of dynamics, but also his ability to properly convey the feeling of each song. When His vocal prowess is coupled with the talents of his band mates, all of which have been noted here, the whole of the band’s performance becomes a spectacle that shows how a live concert is done right. As noted in the recording’s companion booklet, which itself will be discussed shortly, there is no pyro in this show. There are no giant video screens behind the band. There are no special effects other than lighting. That puts the full attention on the band, and the band makes the most of that attention in every song. That less is more approach makes the band’s performance more than enough reason for audiences to watch this show. It will be two hours-plus well-spent. The band’s performance in whole gives audiences more than enough to appreciate in this recording. It would be unfair, of course, to ignore the work of those behind the cameras, lenses and computers in the production and post. It is thanks to those individuals’ efforts, that the energy of that performance is heightened even more for home viewers. The timing of the shots, the shots’ angles and the sound are top quality. Given, Eagle Rock Entertainment would not release a recording whose production values are any less. It is the standard for which Eagle Rock has come to be known. Even with that in mind, it would be wrong it ignore the part of those who captured the band’s performance and prepared it for its presentation. Those individuals did just as much to make this show enjoyable for audiences as the band itself. Having noted the set list featured in this recording and the band’s performance thereof, it is obvious that the recording offers plenty of appeal. They are only a portion of what makes the recording another positive offering from Journey and Eagle Rock Entertainment. The recording’s companion booklet adds its own share of interest to the recording’s whole. As already noted, the recording’s booklet notes the simplicity of the show’s stage setup. There’s no pyro, no giant video screens behind the band, no other special effects. There are some steel structures behind the band, but they are really more cosmetic than anything else. They don’t really serve any other purpose than to add to the stage’s look. The liner notes, crafted by journalist Matt Wardlaw, gives audiences insight into the importance of Escape and Frontiers, noting that the two albums collectively spawned eight Top 40 singles and sold no less than 20 million copies worldwide. The liner notes also note that Journey’s 2017 Budokan performance was not the first time the band performed at the famed venue. The full story on that will be left for audiences to discover on their own. There is even a mention about Smith’s technical prowess by Valory included in the liner notes, going back to the previous discussion on Smith’s talents. If that is not enough for audiences, Wardlaw cites Pineda as he talks about his nerves before going on stage with his band mates because of his own lifelong view of the Budokan. Everything noted here is just the tip of the proverbial iceberg that is the liner notes in the recording’s companion booklet. Between these notes and many others featured in the booklet, audiences get a rich, thorough setup on the concert before they ever take in the concert. At the same time, the notes give an equally rich examination of the albums performed in whole in the concert. In other words, the liner notes offer audiences just as much appeal as the concert contained in the two CDs and one DVD/BD (One set is 2 CD/DVD and the other 2 CD/BD) that make up the recording’s packaging. When that concert is considered alongside the liner notes, the whole becomes a presentation that classic rock and Journey fans alike will appreciate. Journey is partnering with Eagle Rock Entertainment to release its next new live recording. Live in Japan 2017: Escape + Frontiers is scheduled for release on March 29. It will be available on DVD+2CD and Blu-ray+2CD combo packs. Originally recorded Feb. 7, 2017at Japan’s famed Budokan stage, the concert features the band performing songs from its landmark albums Escape (1981) and Frontiers (1983). The two albums combined produced eight Top 40 singles and sold almost 20 million copies worldwide. Among the songs featured in the concert’s expansive 26-song, 2-hour set are the timeless classic ‘Don’t Stop Believin’,’ ‘Edge of the Blade,’ and ‘Faithfully. The concert’s complete set list is noted below. A trailer for the recording is streaming online now here. Pre-orders are open now. Veteran rock act Foreigner will release a new live recording next month. 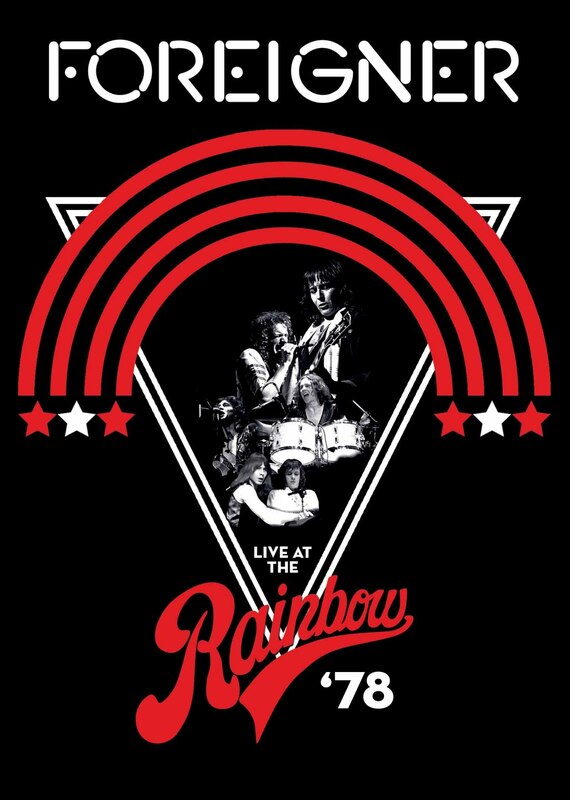 Live at the Rainbow ’78 is scheduled for release on March 15 via Eagle Rock Entertainment. It will be available on DVD, Blu-ray and digital. The concert featured in the recording was captured Apr. 27, 1978 at London’s Rainbow Theatre. It features the classic Foreigner lineup of Mick Jones (lead guitar, keyboards, backing vocals), Lou Gramm (lead vocals, percussion), Ian McDonald (guitars, keyboard, sax, flute, backing vocals), Al Greenwood (keyboards, synthesizers), Ed Gagliardi (bass, backing vocals) and Dennis Elliott (drums, backing vocals) performing songs, such as ‘Long, Long Way From Home,’ ‘Cold As Ice’ and ‘Feels Like The First Time.’ The concert’s full set list is noted below. Jones talked about the band’s performance featured in Live at the Rainbow ’78 in a recent interview. A trailer for the recording’s forthcoming release is streaming online now here. Pre-orders are open now. Eagle Rock Entertainment and The Rolling Stones have been quite busy in recent years, releasing a variety of live recordings from the veteran rock band. The two sides together, have released no fewer than 10 live recordings from the band’s years on the road. Late last month, the two sides partnered to release yet another live recording, this time from the band’s 1994 North American tour in support of its then brand new album Voodoo Lounge. The second new live recording from the two sides so far this year, – the first was the band’s recording No Security: San Jose ’99 — Voodoo Lounge Uncut is yet another wonderful addition to the collection of any Rolling Stones fan and rock music lover in general. This is proven in part through the concert’s set list (and the band’s performance thereof), which will be discussed shortly. The concert’s production is also important to note in examining the recording, and will be addressed a little later. The companion booklet that is included with the recording rounds out the set’s most important elements, and will also be discussed later. Each item noted here is important in its own way to the whole of Voodoo Lounge Uncut. 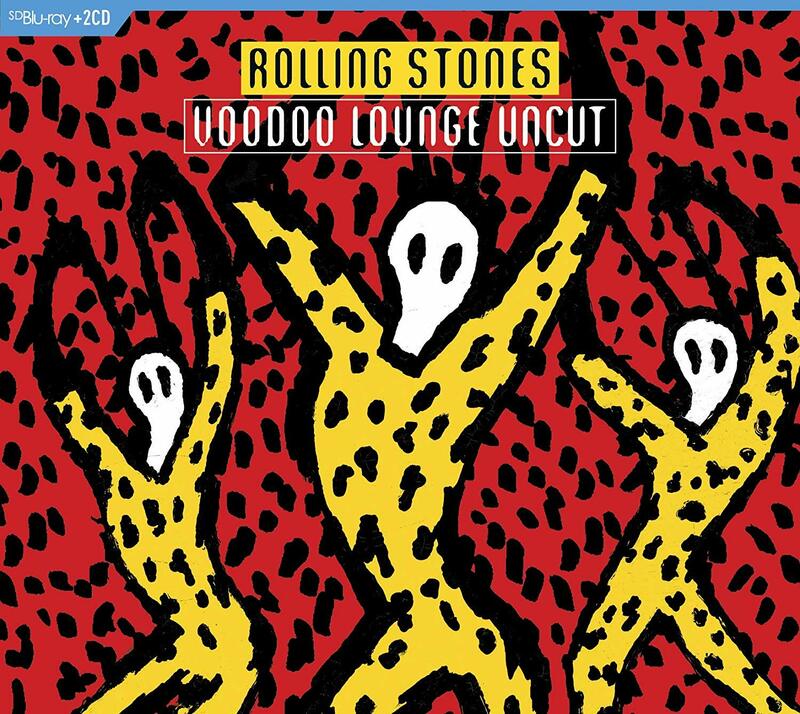 All things considered, they make Voodoo Lounge Uncut yet another must have for any fan of The Rolling Stones fan. Eagle Rock Entertainment’s recent re-issue of The Rolling Stones’ Voodoo Lounge, aptly titled Voodoo Lounge Uncut, is a welcome new pressing of the recording, which was previously released in edited fashion on laser disc, DVD and VHS. That is due in no small part to the concert’s set list. The extensive 27-song set list is the complete presentation of the band’s classic concert, performed at Joe Robbie Stadium in Miami, Florida. As is noted on the rear of the set’s packaging and in its companion booklet (again, that booklet will be discussed later), this release marks the first time that the expansive set list has been presented in whole. The concert’s previous pressings featured significantly shortened set lists, which removed a total of 10 songs from the recordings. In other words, audiences get in this set, the band’s entire show for the first time ever. While not necessarily career-spanning, the set list featured here still pulls from a respectable portion of The Rolling Stones’ catalog. Specifically speaking, it pulls from no less than a dozen of the band’s releases, including the band’s 1964 U.S. debut record The Rolling Stones (England’s Newest Hit Makers), its then latest album Voodoo Lounge and other albums, such as 12 X 5, Out Of Our Heads and Exile on Main Street. Exile on Main Street is the most heavily represented of the albums featured in the set list, with four nods. The bonus five-song set, which was recorded at Giants Stadium in New Jersey as part of the Voodoo Lounge tour, features two more songs from that album, bringing the total count there to six songs. Voodoo Lounge got a grand total of five nods between the two sets while Let It Bleed was represented by three songs. The numbers vary from here, but simply put, the band reaches well back into its back catalog for this show, which is well-deserving of applause. While the set list itself does a respectable job of representing The Rolling Stones’ catalog, it is just one part of the set list that deserves to be noted. The set list’s actual order is just as important to the concert experience here as the set list itself. Audiences will note that the set’s first seven songs are high-energy pieces. From there, the band slows things down gradually, starting with ‘Beast of Burden.’ The band goes from there, to a short acoustic set that helps relax the concert’s mood. The band’s performances of ‘It’s All Over Now’ and ‘Who Do You Love?’ – which features the one and only Bo Diddley joining the band for the performance – gradually pick up the concert’s set list again. The show’s energy gradually increases more and more from there until guitarist Keith Richards takes the lead with performances of ‘Before They Make Me Run’ and ‘The Worst.’ That pullback is only brief, as things gradually pick back up again starting with the laid back vibe of ‘Sympathy for the Devil.’ Each song from there sees the show’s energy rise yet again right to the bombastic finale of ‘Jumpin’ Jack Flash.’ Simply put, the energy in the show’s set shows that a lot of thought and time was put into its sequencing. The band wanted to make sure that audiences got the most bang for their buck, and it goes without saying that they got that and more, over the course of more than two-and-a-half hours. While the expansive set list featured in Voodoo Lounge Uncut gives audiences to enjoy and appreciate from this recording, it is only one part of what makes the recording so enjoyable. The band’s performance – including that of the touring musicians – builds on the foundation formed through the set list to make the recording even more enjoyable. Front man Mick Jagger has all of the swagger in his performance here that he has had at every other moment in his career while drummer Charlie Watts’ time keeping is just as solid as ever. Guitarists Keith Richards and Ronnie Wood show throughout the course of the show that, like Jagger, they can still hold their own easily against their younger counterparts, working through every single riff and every single song with ease. At the same time, the pair’s smiles and swagger as they make their way across the stage from song to song exude their own share of energy on which audiences will feed. Touring bassist Darryl Jones, who according to the recording’s notes joined the band for the first time in the Voodoo Lounge tour, adds his own interest as he shares some light-hearted moments with his fellow musicians as do touring vocalists Lisa Fischer and Bernard Fowler. Horn players Kent Smith, Bobby Keys, Andy Snitzer and Michael Davis join with keyboardist Chuck Leavell to give each song even more energy thanks to the energy that they put into each performance. Between their performances and those of the rest of the group, the whole of the musicians’ performances proves just as entertaining as any other performance that The Rolling Stones has presented to audiences in its previous live recordings because of the energy and effort put into entertaining the group’s audiences. When the collective’s performance is considered along with the set recording’s featured set list the two related items come together to give audiences quite a bit to appreciate in this set. They are only a portion of what makes Voodoo Lounge Uncut so enjoyable, too. The concert’s production is just as important to examine as the show’s set and the band’s performance thereof. The production involved with this recording is important to examine because of its general effect for home viewers. It is noted in the recording’s companion booklet that this recording was originally presented on pay-per-view in its very first presentation almost 25 years ago. Taking in the recording here, the production is impressive. Given there are some shots that are perhaps a little too short, leading to some feelings of dizziness. Those shots are not enough to make the concert unwatchable, though. The aerial shots at the concert’s end and the overhead shots from the crane cams give viewers a full sense of just how many people attended the concert. The various angles from the stage and the crowd do just as much to keep audiences engaged and entertained as they make audiences feel as if they are right there with the rest of the audience. At times, those behind the cameras even take viewers into the crowd, giving audiences a glimpse into what the audience saw and heard. On yet another level, the timing of many of the shots even timed almost perfectly with the songs themselves, adding even more impact to each performance, and in turn ensuring even more, audiences’ engagement and entertainment. Adding even more interest is the attention given to the concert’s audio mix. The Joe Robbie stadium is a massively open venue, as any National Football League fan knows. That means that a lot of work had to have been done and time taken to balance every single line. That work and attention clearly paid off, as did the work and time put in by those who edited down the concert for its presentation here. No one line overpowers that other at any point throughout the show. Kudos are in order for all involved, considering this. This positive joins with the positives in the show’s set and the band’s performance to strengthen the recording’s presentation even more. It is still not the last of the recording’s most important elements. The companion booklet, which has previously been noted rounds out the set’s most important items. The recording’s companion booklet is important in part because of its liner notes. Composed by Paul Sexton, the liner notes point out that the Voodoo Lounge tour marked the first time that Darryl Jones joined The Rolling Stones as the band’s bassist. This is important to note because as previously noted, this concert took place almost 25 years ago. That is a long time for him to have been with the band. Sexton’s liner notes also point out Jagger’s interest in artist Santiago Calatrava played a part in the look of the set for the band’s show. As if these notes are not enough, Sexton also highlights thoughts from Sheryl Crow, who joins the band on-stage for one of the show’s three guest appearances. He quotes Crow as saying how frightened she was to perform with the band because of her respect for the band. There is even mention of Richard’s time in the limelight and much more. Between all of that extra and the items noted here, Sexton’s liner notes give audiences a solid, clear introduction to this concert, setting the scene for the performance quite well. It offers its own enlightenment and entertainment for audiences. 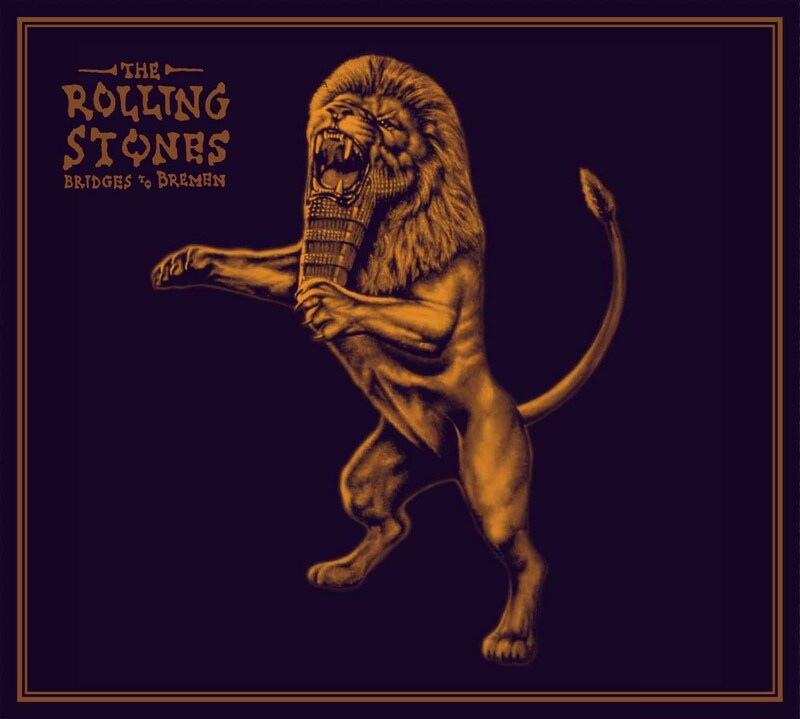 When this positive is considered along with the positives exhibited in the recording’s set list, the band’s performance thereof and the recording’s production, the whole of the recording proves to be yet another standout live offering from The Rolling Stones and Eagle Rock Entertainment. It continues that positive tradition that was started so long ago from the two sides, ensuring once again that audiences and Rolling Stones fans alike will have plenty to appreciate from beginning to end. Famed singer-songwriter Joni Mitchell marked a major milestone this week as she marked her 75th birthday, and she celebrated in style with a star-studded event to mark the occasion. Thanks to Eagle Rock Entertainment, fans of the veteran singer-songwriter can celebrate Mitchell and her legacy in their own way with a recently released live recording. Both Sides Now: Live at the Isle of Wight Festival 1970 is a memorable presentation that Mitchell’s most devoted audiences will appreciate. That is due in part to the recording’s set list. This will be discussed shortly. The documentary film that is woven into the concert adds just as much interest for audiences as the set list. It will be discussed a little bit later. The recording’s average price point rounds out is most important elements, and will also be discussed later. Each item is important in its own way to the whole of Both Sides Now: Live at the Isle of Wight Festival 1970. All things considered, they make this recording a piece that will appeal largely to the most devout fans of Mitchell and her work. 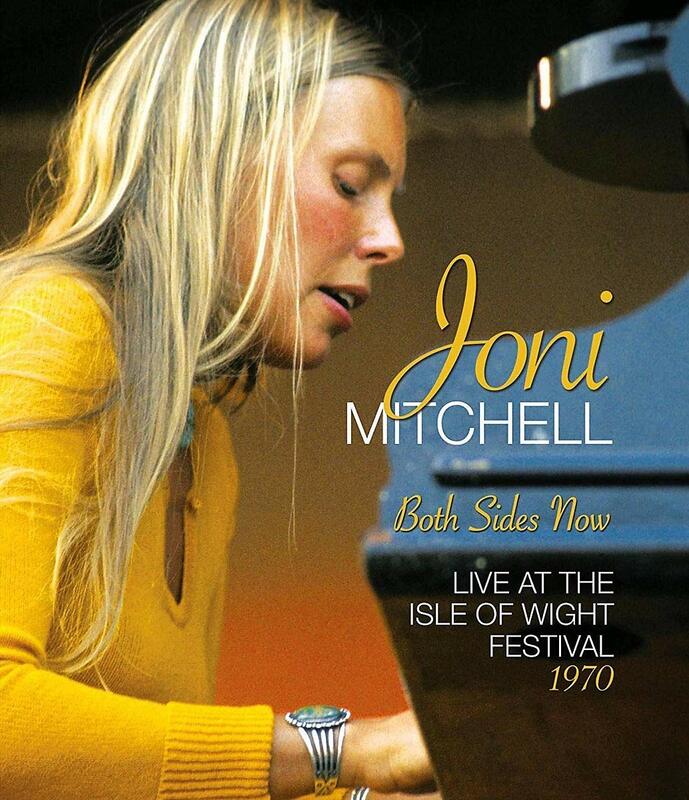 Both Sides Now: Live at the Isle of Wight Festival 1970 is an interesting presentation from Eagle Rock Entertainment and veteran singer-songwriter Joni Mitchell. That is because the recording, released Sept. 14 via Eagle Rock Entertainment, presents a very interesting portrait of the then very young and still up-and-coming performer. At the time of her performance, Mitchell had only released four full-length studio recordings – Song to a Seagull (1968), Clouds (1969), Ladies of the Canyon (1970) and Blue (1971) – making her still a very young performer, despite her experience. Her 11-song set list featured in this performance lifts liberally from the latter trio of albums. Clouds gets four nods while Ladies of the Canyon and Blue each get three nods. ‘Hunter,’ which apparently was a b-side from Blue that never made the album’s final cut, is also included in here. Interestingly enough, her 1968 debut record Song to a Seagull is nowhere to be seen in this set list. Either way, audiences at the time still got a relatively well-balanced representation of her catalog at that point due to that clear focus that was put on the set list. What’s more, a whole new generation of audiences now get a glimpse into who Joni Mitchell was at that time thanks to this new recording. To that end, the set list proves itself to be a critical part of the recording’s whole. It is just one of the important pieces of the presentation’s whole. The documentary that is interwoven into the concert adds even more interest to the recording’s overall presentation. The documentary that is coupled with Mitchell’s performance is important to note because it is really a dual story line of sorts. On one side, the story shows Mitchell growing both as a person and as an artist, as she is forced to face a crowd that was not expecting her so early; a crowd that was likely expecting a more lively act than her. Over the course of her rescheduled performance, audiences see the crowd slowly turn and accept her, almost making her an underdog figure of sorts. Mitchell’s interviews, originally recorded in 2003, add their own depth to this story, making her even more of an endearing figure. The other story included in the documentary is that of the unrest throughout the festival. Audiences are introduced to a group of people within the audience that was protesting the festival and its managers. That is because they were not being allowed inside the venue. That led to some unexpected moments in which some of those protestors actually made their way on stage to make their protests heard loud and clear. Simply put, the protestors were people who were a little bit too enthusiastic about the festival. Interestingly enough, this ties back into Mitchell’s story because it was her performance and her music that seemed to help quell the problems with the protestors. That ability to calm the crowd – and win over the audience in the process – helped her overcome the nerves that she noted having in her 2003 interview segments. The result is a performance that audiences will agree improved with each song. Keeping all of this in mind, the combined performance and documentary presentation of Both Sides Now: Live at the Isle of Wight Festival 1970 makes for a work that Mitchell’s most devoted audiences will appreciate just as much as those perhaps less familiar with her and her work. Staying on that note, the Blu-ray offers audiences the choice to watch the concert by itself and to watch it coupled with the doc. This critic’s own interpretation is to watch the two presentations as one. It makes for a much richer experience than watching the concert by itself. Having noted all of this, the content that makes up the whole of Both Sides Now: Live at the Isle of Wight gives audiences plenty to appreciate here. Even with that in mind, there is still one more item for audiences to appreciate. That item is the Blu-ray’s average price point. Using prices listed at Amazon, Best Buy and Barnes & Noble, the set’s average price point comes to $18.79. Research on the set finds that it is not listed at the websites of Walmart, Target or at Books-A-Million. Considering the depth of the recording’s overall presentation and the pacing of the more than two-hour program (the exact run time is listed at two hours, 12 minutes), that average price of less than $20 is relatively affordable and money well-spent. When this is all considered together, it makes Both Sides Now: Live at the Isle of Wight Festival 1970 another positive offering from Eagle Rock Entertainment, and one that any of Joni Mitchell’s fans will appreciate. John Lennon’s Imagine is one of the most important albums in music history. Whether one is a fan of Lennon, The Beatles or just an audiophile in general, the stylistic change in this record from his work with Lennon’s former Beatles band mates showed a dramatic change of pace for the late, great musician. Now thanks to Eagle Rock Entertainment, the most devout Beatles and Lennon fans finally get to see for themselves how Imagine was created while also taking in the album complete with visualizations in the form of the recently released presentation, Imagine & Gimme Some Truth. The two-part presentation offers plenty for the noted audiences to appreciate, beginning with that noted dual presentation. This will be discussed shortly. The companion booklet that comes with the presentation is just as important to discuss in examining the Blu-ray’s presentation as the primary content. It will be discussed a little later. The bonus content included in the Blu-ray rounds out its most important elements, and will also be discussed later. All things considered, Imagine & Gimme Some Truth proves to be a presentation that the most devoted fans of John Lennon and The Beatles will find appealing. 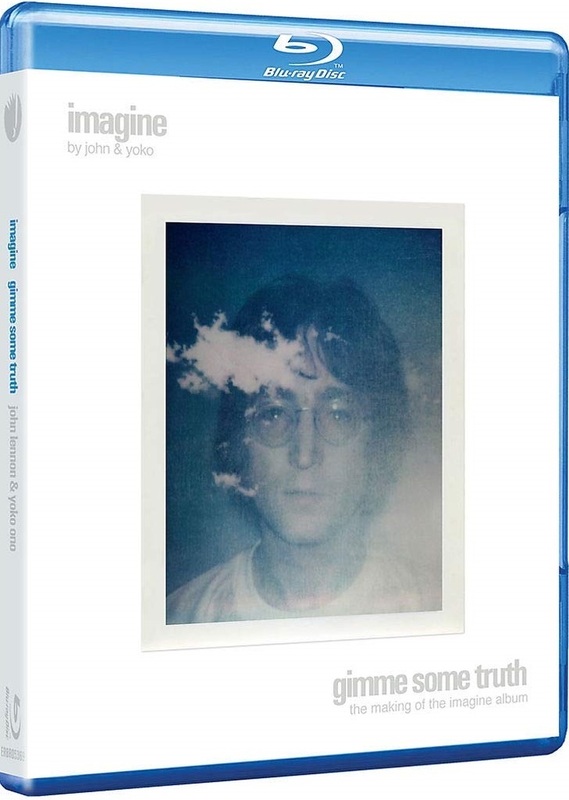 Eagle Rock Entertainment’s recently released John Lennon doc Imagine & Gimme Some Truth is a presentation that the most devoted fans of Lennon and The Beatles will find appealing. As noted already, that is due in part to the primary content presented in the program. Eagle Rock Entertainment has presented here a vintage presentation that follows the creation of his landmark album Imagine as well as a full presentation of the album complete with home videos of Lennon and his widow Yoko Ono. The doc presents the original in-studio footage of Lennon and his then band mates at work figuring out how to make each song the best that it can be as part of the presentation. What makes this interesting is that audiences get to see Lennon not just as a performer, but as an artist and a real person. It’s not always the smiling John Lennon that so many people might remember. Audiences see that happy guy, but also someone who was human and got frustrated at times, too. Some might ask why is this important, especially considering that John Lennon is no longer with us. What is important is that it serves as another reminder that celebrities are not super humans. They are ordinary people, just like everyone else. What’s more, audiences get to hear some raw mixes of the songs that would end up on the record while also getting that fly on the wall vantage point of the creative process. Getting to hear a raw, demo session of ‘Imagine’ itself presents a completely different vocal approach from Lennon than what is heard on record, for example, as well as a slightly different arrangement. Audiences also get to take in the in-studio recording of ‘Gimme Some Truth,’ which stylistically harkens back to the likes of ‘Helter Skelter.’ Again, here is another important point for the documentary portion of the presentation. Between all of this and so much more, the documentary proves to be a work that will please, again, the most devoted fans of John Lennon and The Beatles. The full musical presentation of ‘Imagine’ is a bonus for those fans as it is the original presentation recorded by Yoko Ono and John Lennon together. The companion booklet that comes with this presentation explains the history behind the film, which is interesting, even for those who might not be as devout as others in their fandom. As is noted in the booklet, making the film was alien territory for Lennon, but apparently not so much for Ono, which led to some of its more intriguing moments. Audiences get in the film, home video footage of Lennon and Ono, as well as more artsy type of footage, such as Lennon and Ono sitting at an art display with human-like figures at a table, and the couple walking around in a forest apparently looking for one another just to note a couple of instances. The home video footage includes footage of the couple at their home together, and with a number of celebs, such as Miles Davis, Andy Warhol and Jack Palance. Again, the most devout fans of The Beatles and John Lennon will find it all appealing. Those who might be more casual listeners will at least appreciate getting to hear Imagine in its whole after going through the making of documentary that itself is vintage footage. That vintage footage in both presentations adds even more appeal for fans as it wasn’t tweaked for the presentation here. It is exactly the same footage presented in its original presentation. To that end, the two-part presentation that forms the foundation of Imagine & Gimme Some Truth makes that foundation strong to say the least. The companion booklet that came with that primary content strengthens that foundation even more. As noted already, the companion booklet that joins the Blu-ray’s primary content is so important because of what it adds to the Blu-ray’s presentation. It presents the words of Lennon and Ono themselves instead of the typical liner notes written by a journalist, biographer or other personality. The notes, obviously written around the same time as the Imagine film, clearly show the time and thought put into the film’s creation so many years ago. Ono discusses Charlie Chaplin and Buster Keaton movies in her notes as inspiration for the film’s stylistic approach at one point. At another point, Lennon talks about the cameras following him and his fellow musicians around the studio as the album was being made. He also writes jokingly about the man in the bag who walked around London in one point of Imagine. At yet another point, Lennon talks about Ono’s apparent talent with film making, how that led to the film’s outcome and his feeling on the outcome. It’s just one more commentary that, again, truly devout fans of Lennon and the Beatles will appreciate. Between all of this and the rest of the commentary featured throughout the booklet, the whole of that content builds on the foundation formed by the program’s two-part primary content to give the noted audiences even more reason to view this presentation. Even as much as this content offers audiences, it is not all that audiences have to appreciate here. The bonus material included in the program rounds out its most important elements. The bonus material features bonus outtakes of performances from Gimme Some Truth not included in the final presentation of that studio presentation. Audiences get as bonuses, outtakes of the sessions for ‘Jealous Guy,’ ‘How?’ and ‘Gimme Some Truth.’ Again, the bonus features show Lennon and company hard at work in a setting that audiences might not be so commonly seen in other Lennon and Beatles presentations. As an additional bonus, audiences also get to see a photoshoot of Lennon in studio that is used to create pictures to promote Imagine. Again, it’s one more display of the creative process for the record. It’s one more item for Beatles and John Lennon fans to appreciate. When it is considered along with the bonus studio outtakes, the breadth of information shared by Ono and Lennon themselves in the presentation’s companion booklet and the primary two-part program that forms the program’s foundation, the whole proves to be a work that the most devout Lennon and The Beatles fans will find appealing.